We provide a decorative embroidery design or text on fabric, created with a needle and several colors of thread by a computer controlled commercial embroidery machine. 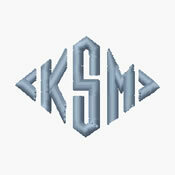 We have hundreds of existing designs to choose; or, we will develop a custom embroidery pattern to meet your needs. We will embroider your personalized design on shirts, jackets, hats, bags, etc. Our multi-head computerized embroidery machine can handle just one item, or any size job, none too small or too large. 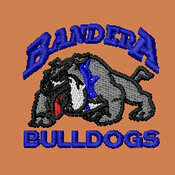 We offer quality embroidery digitizing. Before your personalized team shirt, business logo, or ranch logo, etc. can be embroidered, it must be converted to a format readable by our computerized embroidery machines. We do it all. Everything is done in house by our experienced staff.